Thirty former Heads of State and Government led the 'Education for Shared Societies' Policy Dialogue that took place on October 16-17th in Lisbon, Portugal. The event gathered over 150 participants, among policymakers and expert practitioners, educators and youth leaders, media, private sector representatives and civil society. World Leadership Alliance - Club de Madrid (WLA - CdM) now presents the Global Agenda on Education For Shared Societies, the outcome of such a flagship event. The dialogue was organized by WLA - CdM in partnership with the Calouste Gulbenkian Foundation, under the High Patronage of His Excellency the President of the Republic of Portugal and the Patronage of the European Commissioner for Education. It aimed to mobilise political will around global education for more inclusive societies. A shared society is one in which everyone has a sense of belonging and shared responsibility, shielded from the dynamics of social exclusion, inter-group tensions and violence. World Leadership Alliance - Club de Madrid (WLA - CdM) began its Shared Societies Project (SSP) a decade ago, as part of its work building peace and democracy. This integrates political, social, economic and environmental dimensions, with social inclusion at its core. The organization is now turning its spotlight on education, as one of the strongest enablers to foster social cohesion and lessen dangers of exclusion and elitism. A shared society is one in which everyone has a sense of belonging and shared responsibility, shielded from dynamics of social exclusion, inter-group tensions and violence. 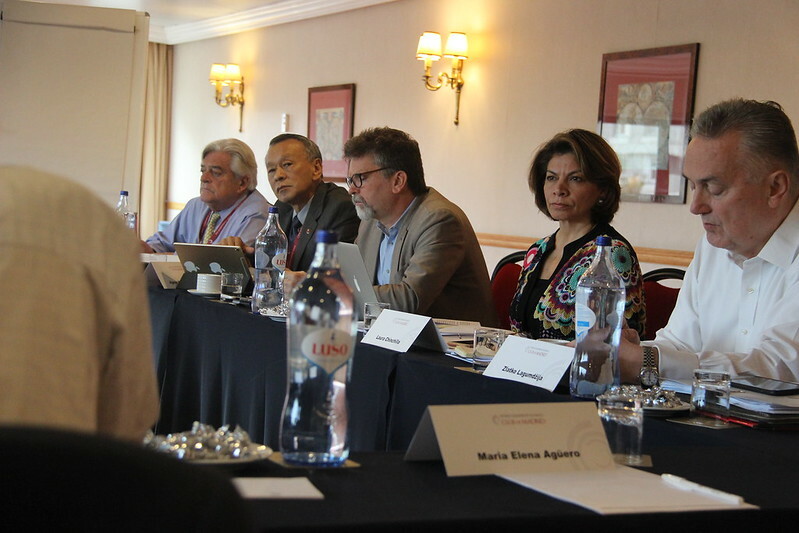 World Leadership Alliance - Club de Madrid (WLA - CdM) began its Shared Societies Project (SSP) a decade ago, as part of its work building peace and democracy. This integrates political, social, economic and environmental dimensions, with social inclusion at its core. The organization is now turning its spotlight on education, as one of the strongest enablers to foster social cohesion and lessen dangers of exclusion and elitism. At global level, transformative efforts towards inclusive societies have become more political, reflected in the Agenda 2030 for Sustainable Development , to which countries have made a commitment and on which they are accountable. Therefore, the involvement of leaders and duty bearers will be crucial for social change and creation of enabling environments, which supports innovation and creativity for a better society. More than a mere call for action, this project locates responsibility with key actors and institutional frameworks to lead social change. The E4SS Agenda will focus on driving engagement on education for all as a catalyst to address challenges affecting the advancement of communities and wellbeing of citizens. 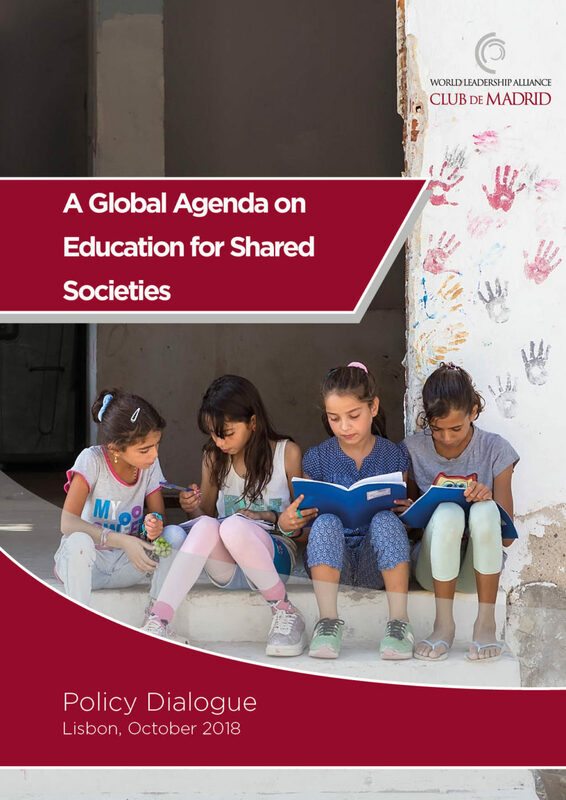 The overarching topic of the Policy Dialogue, “Education for Shared Societies”, refers to the role of education as an essential lever to build inclusive democratic societies, with freedom to express their differences in a common search for social cohesion. Obstacles to achieving shared societies are multiple and complex but, in this Policy Dialogue, WLA - CdM honed in on three particularly taxing challenges putting social cohesion under stress across the globe and which, at the very outset, must be tackled through education - radicalization and violent extremism (EPVE); migration, refugee flows and internal displacements; and the need for digital resilience in an increasingly interconnected world. Three working groups drafted key components of an agenda with policy changes for each area, discussed by educators, policymakers, WLA - CdM Members, and experts, and incorporated ideas during the Action Labs organized at the Policy Dialogue. Looking forward, the results of deliberations will be brought into a Global Agenda on Education for Shared Societies on how 21st century education can best serve to build inclusive, democratic societies. This Agenda will serve as a useful instrument in leveraging political commitment to transformative education policies and to the advancement of Agenda 2030’s vision of ‘leaving no one behind’, ensuring the continuity of the project globally. Involve the broader community and local civil society in EPVE efforts where relevant. Understand and address internal practical barriers to inclusion such as facilities, attitudes, harassment, and bullying. Educate users of digital technologies to foster increased awareness of the risks of the digital environment, as well as an enhanced capacity to manage these risks through responsible online behaviour. Leveraging education to foster inclusion and social cohesion is a laudable objective in any society. 21st century learner experience encompasses high levels of uncertainty. The growth of interconnectivity and digitalization requires the engagement of students as global citizens, equipped with an appropriate set of skills to deal with global interdependence, diverse identities and cultures, and unpredictable societies. Preserving a democratic and inclusive society depends also on addressing the mismatch in the labour market, and meeting citizen’s expectations and possibilities. Today, it appears that the only certainty lies in the fact that most of the things we learn and do will not be needed in the future. The E4SS initiative, WLA - CdM Members and its partners have committed to promote more inclusive and resilient education frameworks that will allow to be better prepared to face this uncertainty. In this sense, WLA - CdM have key ideas discussed in the Policy Dialogue into concrete policy proposals in the framework of an education for shared societies. The Members of WLA - CdM will present and discuss the ideas and proposals of the Agenda in relevant global and regional forums including the seventh UN High-level Political Forum on Sustainable Development (HLPF 2019), as well as engage with national governments and actors to discuss its potential implementation in specific contexts. WLA - CdM and its Members are committed to mainstream key recommendations described in the Agenda into its programmatic priorities. Moreover, the organization will continue its cooperation with current and new partners to further elaborate and improve the proposals presented in the Agenda and to convert its policy ideas into concrete new projects and initiatives. "Learning to be a fully-fledged citizen is a complex mix of knowledge and attitudes. It starts in the family and the classrooms. It is about experiencing respect and tolerance and others as well as feeling proud of one's own culture", said Tibor Navracsics, European Commissioner for Education, Culture, Youth and Sports in a video message also sent for WLA - CdM's Policy Dialogue. The Global Platform for Syrian students, an initiative created by our Member and former President of Portugal, Jorge Sampaio, sent a video on their Rapid Response Mechanism for Higher Education in Emergencies. Discurso público tem "uma linguagem cada vez mais ordinária"
Iveta Radicová: "Senti pressões de grupos criminosos todos os dias"